What one word do you most closely associate with Mother? As Mothers’ Day approaches and I spend a few extra moments thinking about my own mom, what comes to mind first is sacrifice. I was privileged to grow up in a home with a Christian mother and can think of several areas in which she made sacrifices for her children. Her will. My mom willingly submitted to my dad as the leader of our home and set a great example for my brothers, sister and I as to how a good marriage should operate. She taught us to love and respect my dad by the way she talked about him and responded to him. Her needs and wants. Mom would put our needs ahead of her own. I know there were many times when she could have bought things for herself, but she would rather one of us children have a new outfit or follow some new interest instead. She always made me feel like it truly brought her joy for us to have the best rather than herself. Her time. She always met our physical needs, making sure our laundry was done and our meals were prepared. No matter what activity we were involved in, we knew my mom (and dad as well) would be there to support us. While I didn’t participate in sports, my brothers and sister did and they could count on mom being at every game and cheering enthusiastically, being there to comfort if they lost or congratulate if they won. 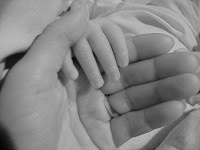 I’m sure the hours are countless that she spent praying for each of us and, now that we are grown, our children as well. Her ambitions. I believe that my mom loved being a stay-at-home mom. She totally dedicated herself to us and laid aside any ambitions she may have had for herself to devote herself to rearing us children. Proverbs 31:28 says “Her children arise up and call her blessed; her husband also, and he praiseth her.” Today I call my mom blessed and thank God for the mom He gave me. How blessed *your* mom is to have a daughter who appreciates all the wonderful things she has done in your life. She sounds like a great woman of God. May you continue to walk in her footsteps.